SPaMCAST 517 is very different from my original plan — and pretty cool if I do say so my self. This week I spoke at ISMA 16 in Sao Paulo, Brazil. I was originally scheduled to open the session, however, the translators were two hours late. The Portuguese speaking speakers were moved earlier so that the conference could get started. During my wait, I discovered that I could record sessions on my iPhone, therefore, the SPaMCAST 517 is a recording of my talk, titled Product Owners In Agile – The Really Hard Role! If you would like a copy of the slides please email me at SPaMCASTinfo@gmail.com . 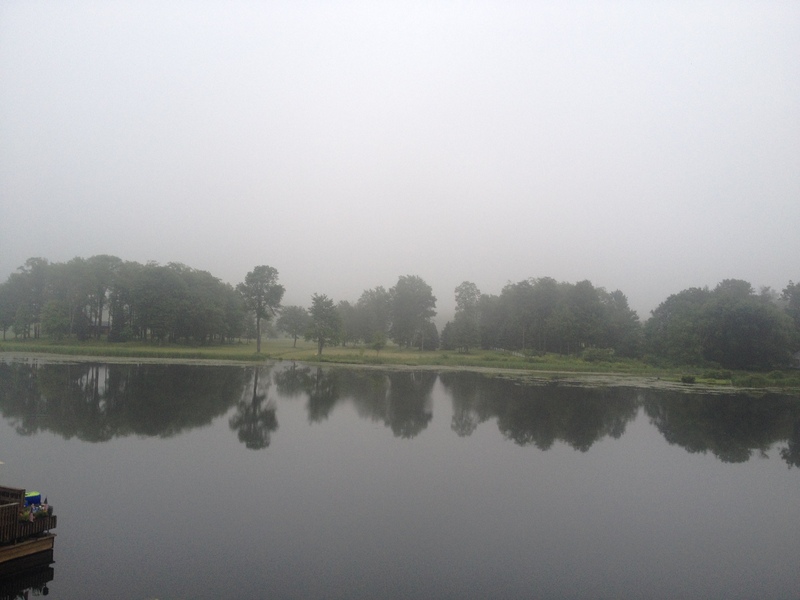 Sometimes estimation leaves you in a fog! Requirements. The impact of unclear and changing requirements on budgeting and estimation was discussed in detail in the entry, Requirements: The Chronic Problem with Project Estimation. Bottom line, change is required to embrace dynamic development methods and that change will require changes in how the organization evaluates projects. Each of the top five issues are solvable without throwing out the concept of estimation that are critical for planning at the organization, portfolio and product levels. Every organization will have to wrestle with their own solution to the estimation conundrum. However the first step is to recognize the issues you face and your goals from the estimation process. The Software Process and Measurement Cast features our interview with Charley Tichenor and Talmon Ben-Cnaan on the Software Non-Functional Assessment Process (SNAP). SNAP is a standard process for measuring non-functional size. Both Talmon and Charley are playing an instrumental role in developing and evolving the SNAP process and metric. SNAP helps developers and leaders to shine a light on non-functional work required for software development and is useful for analyzing, planning and estimating work. Talmon Ben-Cnaan is the chairperson of the International Function Point User Group (IFPUG) committee for Non-Functional Software Sizing (NFSSC) and a Quality Manager at Amdocs. He led the Quality Measurements in his company, was responsible for collecting and analyzing measurements of software development projects and provided reports to senior management, based on those measurements. Talmon was also responsible for implementing Function Points in his organization. Currently he manages quality operations and test methodology in Amdocs Testing division. The Amdocs Testing division includes more than 2,200 experts, located at more than 30 sites worldwide, and specializing in testing for the Telecommunication Service Providers. Amdocs is the market leader in the Telecommunications market, with over 22,000 employees, delivering the most advanced business support systems (BSS), operational support systems (OSS), and service delivery to Communications Service Providers in more than 50 countries around the world. Charley Tichenor has been a member of the International Function Point Users Group since 1991, and twice certified as a Certified Function Point Specialist. He is currently a member of the IFPUG Non-functional Sizing Standards Committee, providing data collection and analysis support. He recently retired from the US government with 32 years’ experience as an Operations Research Analyst, and is currently an Adjunct Professor with Marymount University in Washington, DC, teaching business analytics courses. He has a BSBA degree from The Ohio State University, an MBA from Virginia Tech, and a Ph.D. in Business from Berne University. Note: Charley begins the interview with a work required disclaimer but then we SNAP to it … so to speak. In the next Software Process and Measurement Cast we will feature our essay on product owners. The role of the product owner is one of the hardest to implement when embracing Agile. However how the role of the product owner is implemented is often a clear determinant of success with Agile. The ideas in our essay can help you get it right. We will also have new columns from the Software Sensei, Kim Pries and Jo Ann Sweeney with her Explaining Communication series. We are in the middle of a re-read of John Kotter’s classic Leading Change on the Software Process and Measurement Blog. Are you participating in the re-read? Please feel free to jump in and add your thoughts and comments! After we finish the current re-read will need to decide which book will be next. We are building a list of the books that have had the most influence on readers of the blog and listeners to the podcast. Can you answer the question? What are the two books that have most influenced you career (business, technical or philosophical)? Send the titles to spamcastinfo@gmail.com. First, we will compile a list and publish it on the blog. Second, we will use the list to drive future “Re-read” Saturdays. Re-read Saturday is an exciting new feature that began on the Software Process and Measurement blog on November 8th. Feel free to choose you platform; send an email, leave a message on the blog, Facebook or just tweet the list (use hashtag #SPaMCAST)! 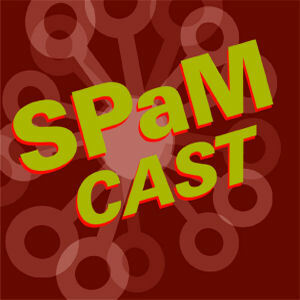 Listen to SPaMCAST 297 now! SPaMCAST 297 features our essay on IPFUG Function Points. IFPUG Function Points are a measure of the functionality delivered by the project or application being counted based on a set of rules documented in the IFPUG Counting Practices Manual (CPM). The measure of delivered functionality is a proxy for size which can be used in estimating and measuring work. An analogy for function points is the measure of the number of square feet (or square meters) of a house. Want more? Listen to SPaMCAST 297 now! Next week we will feature our interview with Brian Federici. We discussed working in an environment with a nearly continuous delivery model from the point of view of a practitioner. Does what sounds good in theory really work when it is implemented?